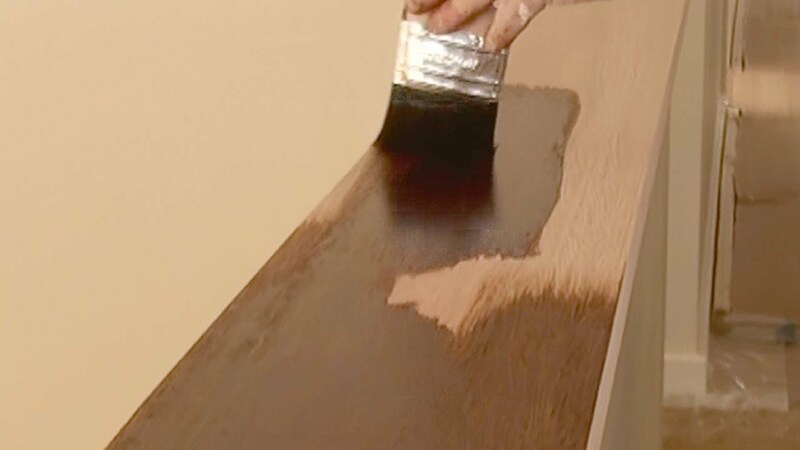 Painting or decorating wood will help to keep wooden surfaces long lasting and look nature. There is a large range of finishes and easy to use as well as being durable. Wood finishes can transform a lifeless wooden object into a vibrant decorative feature. Choose a finish according to the type of wood, colour, and durability required. Wood finishes, especially those that sock into the grain, are often difficult to remove, hence choose right finishes as your requirements. Here we describe the various types of wood finishes. Here we describe the various types of wood finishes. Varnish is a transparent or coloured, hard, and protective finish that is primarily used in wood finish. It is more durable and tough. It is used as an interior as well as the exterior object. Varnish is used to protect from weather. Varnish is usually glossy but sometimes it designed to produce satin or semi-gloss sheens by the addition of flatting agents. Varnish is useful for unpainted wood. Varnish is a clear and pale solution of resinous substance (like amber, resin, copal, lac or shellac) dissolved in an oil or turpentine or alcohol. After drying the solution becomes hard and transparent film is formed on the surface. Oil is made from small molecules which seep down into the wood rather than merely sit on top. Oil makes wood look richer and more translucent. Two different types of oils are used for woodwork i.e. drying and non-drying oils. Drying oil will change from liquid to a solid film when exposed to oxygen in the air. Nut oil is drying oil but vegetable and mineral oils are non drying oils. The most common and expensive drying oil is linseed oil. Non-drying oils are mainly used for the wood treatment. It is also used for interior as well as the exterior surface. Waxes are available in liquid, paste and solid stick forms. Waxes are made from a variety of mineral, vegetable, and animal sources. It is formulated in different colours. Some waxes are harder, but some are softer but hardest waxes are softer than varnishes. This softness will help not help much for little protection against scratches and wear. Waxes do not penetrate into the wood, but rather sit atop it. Dyes are colorants that are dissolved in particular solvents such as mineral spirits, water, and alcohol. Dye works on wood are similar to works on dying cloth and other materials. Dyes are characterized as transparent, as they bring about colour changes in wood without obscuring the grains. The molecular size of the dye particles is small hence allow light to pass through virtually unimpeded. It is easy to apply with brush, sponge, or spray gun. Wood Stain has large, opaque, and insoluble particles that are mixed in a solvent such as oil and water. The wood stain is used to enhance the accurate colour of the woodwork or to achieve uniformity when the wood has an inconsistent appearance. It has the extensive colour range and great depth of finish, which varies according to the number of coats. The opaque nature of pigments in stains tends to obscure some of the beautiful graining of woods. Wood preserver is used prevent rot and insect damage. It is available in colour with a matt or a semi gloss finish. It is used on the exterior surface.